Frontera has been awarded national accreditation status!! In a time of political change, one thing is clear and consistent: Americans strongly support saving the open spaces they love. Since 2004, The Frontera Land Alliance has been doing just that for the people of far West Texas. And just recently The Frontera Land Alliance announced it has achieved national recognition, joining a network of only 389 accredited land trusts across the nation that have demonstrated their commitment to professional excellence and to maintaining the public’s trust in their work. “We are a volunteer board of nine, with one part-time employee. With the support of the Land Trust Alliance, a consultant, and others that have been through the process we were able to achieve a long-term goal. We are so proud to be able to tell landowners that we are accredited. By sharing this achievement we are able to say we are accredited, trustworthy, and committed to you and the region for conservation,” said Scott Cutler, Frontera President. We regret to share that John D’Ascenzo has passed away this month. He was the Frontera Land Alliance’s volunteer CPA as well as our financial advisor for over ten years. John’s work truly went above and beyond the call of duty. The Frontera Board of Directors is indebted to him for all that he has done. We will be hosting a fall workshop on land conservation Friday, October 27 for realtors, attorneys and CPA’s to assist them in knowing the various preservation options available to their clients. CLE credits will be offered. More details to follow. Then for landowners, on Saturday, October 28, we will host a half-day workshop in Socorro, just southeast of El Paso. At this workshop landowners will learn about the various methods available to them to conserve their ranches, farms and open natural areas while continuing to own and work their land. More details to follow. Frontera guided hikes, trail-building, and native seed-collecting will take place at Resler Canyon! Saturday, September 16, 2017: Clean-up at Resler Canyon. Meet at Alto Mesa entrance. Work from 8 a.m. to 11 a.m.
Saturday, October 7, a guided hike will be held at Resler Canyon starting at 9 a.m. We will meet at the Cadiz St. entrance to Resler Canyon on El Paso’s West Side. The hike will be followed by native seed collection from 9:30 to 11 a.m.
Sunday, October 8, a guided hike will be held at Thunder Canyon at 9 a.m. Meet at Oakcliff off of Pebble Hills. From I-10 exit Sunland Park Drive and head east. Stay on Sunland Dr., whose name will change to Shadow Mountain as you cross Mesa St. Take a right onto Pebble Beach Drive. Follow this road to Oak Cliff Drive where you will take a right. Oak Cliff Dr. dead-ends at Thunder Canyon. To see the full list of Frontera’s new Discover Nature Program go to: News & Events. Other wonderful regional activities can be found at Celebration of our Mountains. 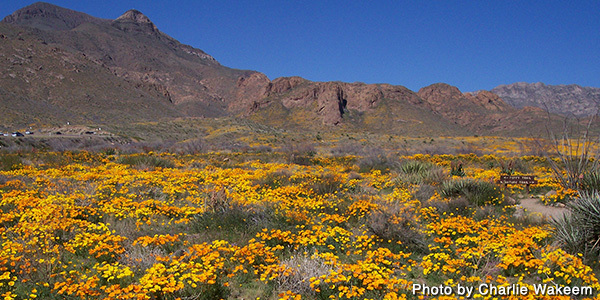 Castner Range booklet now available: You’ve played a part on Castner Range in recent years, so you know the campaign that we waged—and are still waging—to keep it conserved for all time. Our new, hot-off-the-press booklet tells the story of the Range from prehistoric days through its years as an active artillery site (1926-1966), then into the 1970s when parts of the Range were transferred to the City for development, and on to our recent, vigorous and increasingly-successful campaign on behalf of Castner’s conservation. 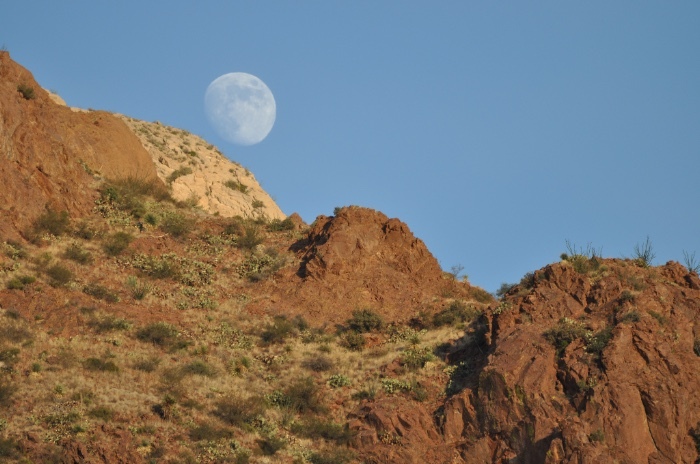 The booklet makes it clear that El Pasoans stand united in their desire to conserve Castner Range, whether as a separate National Monument or as a part of the Franklin Mountains State Park. You can pick up your print-out copy of the 12-page booklet at the Frontera Land Alliance office (1201 N. Mesa, D-3) Monday through Friday from 8 a.m.-5 p.m. or you can download it at here.